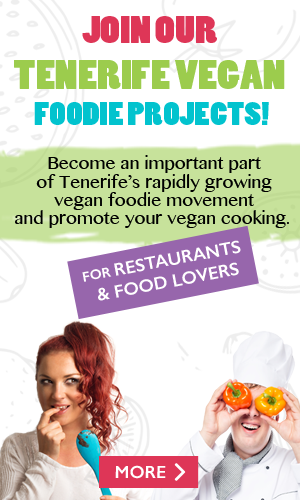 As with much of the rest of Europe and the world, Tenerife is no exception in terms of the massive growth in popularity of veganism and plant-based diets. Increasingly, people coming here on holiday and those living here partially or permanently are looking for delicious places to eat that cater for vegan/plant-based diets. Some of our team here at Tenerife Magazine have experienced the many benefits of this form of lifestyle and decided to put together this list for our growing vegan readership. Even if you have not switched over to veganism completely, there are still many delicious plant-based meals to be enjoyed here in Tenerife when you feel like trying something new!